Have you ever felt a surge of adrenaline after narrowly avoiding an accident? Salivated at the sight (or thought) of a sour lemon? Felt turned on just from hearing your partner's voice? If so, then you've experienced how dramatically the workings of your mind can affect your body. Yet while we accept that stress or anxiety can damage our health, the idea of "healing thoughts" was long ago hijacked by New Age gurus and spiritual healers. Recently, however, serious scientists from a range of fields have been uncovering evidence that our thoughts, emotions and beliefs can ease pain, heal wounds, fend off infection and heart disease and even slow the progression of AIDS and some cancers. 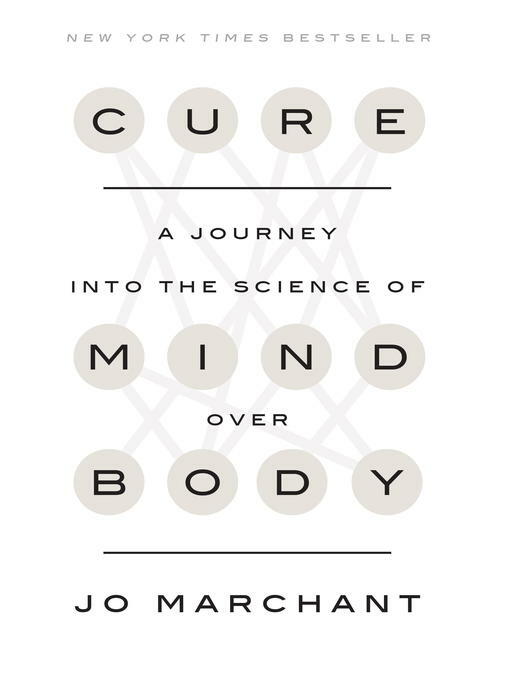 In Cure, award-winning science writer Jo Marchant travels the world to meet the physicians, patients and researchers on the cutting edge of this new world of medicine. We learn how meditation protects against depression and dementia, how social connections increase life expectancy and how patients who feel cared for recover from surgery faster. We meet Iraq war veterans who are using a virtual arctic world to treat their burns and children whose ADHD is kept under control with half the normal dose of medication. We watch as a transplant patient uses the smell of lavender to calm his hostile immune system and an Olympic runner shaves vital seconds off his time through mind-power alone. Drawing on the very latest research, Marchant explores the vast potential of the mind's ability to heal, lays out its limitations and explains how we can make use of the findings in our own lives. With clarity and compassion, Cure points the way towards a system of medicine that treats us not simply as bodies but as human beings.